Barça B fell 3-1 to Sevilla Atletico in their Liga 123 game in Southern Spain, due largely to their opponents' effectiveness from set pieces. 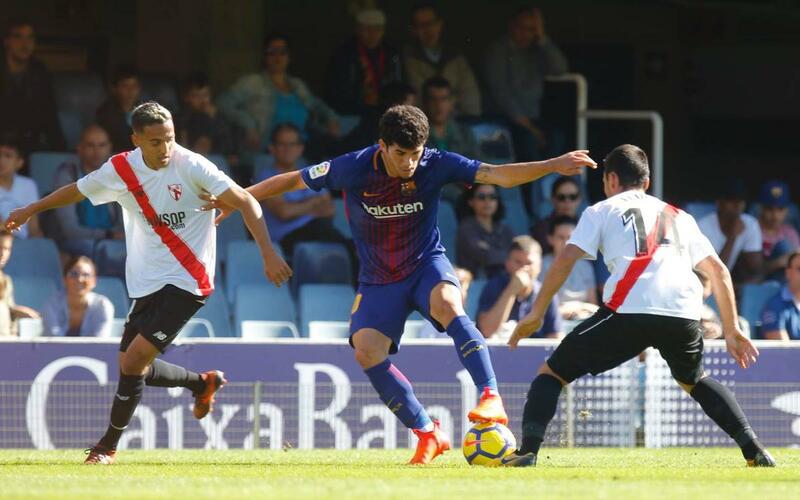 Despite twice hitting the post, a first half controlled by the Blaugrana ended goalless and with a substitution required: Hongla was taken off injured just before the break. In the second half, it was Sevilla Atletico who found the breakthrough. Following another shot against the post for Barça B and an opportunity for Vitinho, the home team scored against the run of play: González converted from inside the box to make it 1-0 on 53 minutes. Just a few minutes later, the second goal for the hosts was put in from another set piece. This time Álex Muñoz was the scorer. Vitinho pulled a goal back for Barça B when he capitalised on a poor clearance by the goalkeeper, but another Sevilla Atletico strike -from Mena- took the score to 3-1. Barça B remain on 37 points in the Segunda División table. Their next game takes place next Saturday against Cultural Lleonesa (4pm CET).